Today let us begin by contemplating the meaning of water. The Gospel we read today is focused quite literally on water, in which Jesus meets with the Samaritan woman at Jacob’s Well. And they speak there together about water. In the ancient custom of the Church, although it can happen on other days, the primary time when catechumens are to be baptized is on Holy Saturday, as part of the Paschal services that have their first beginning earlier in the day. 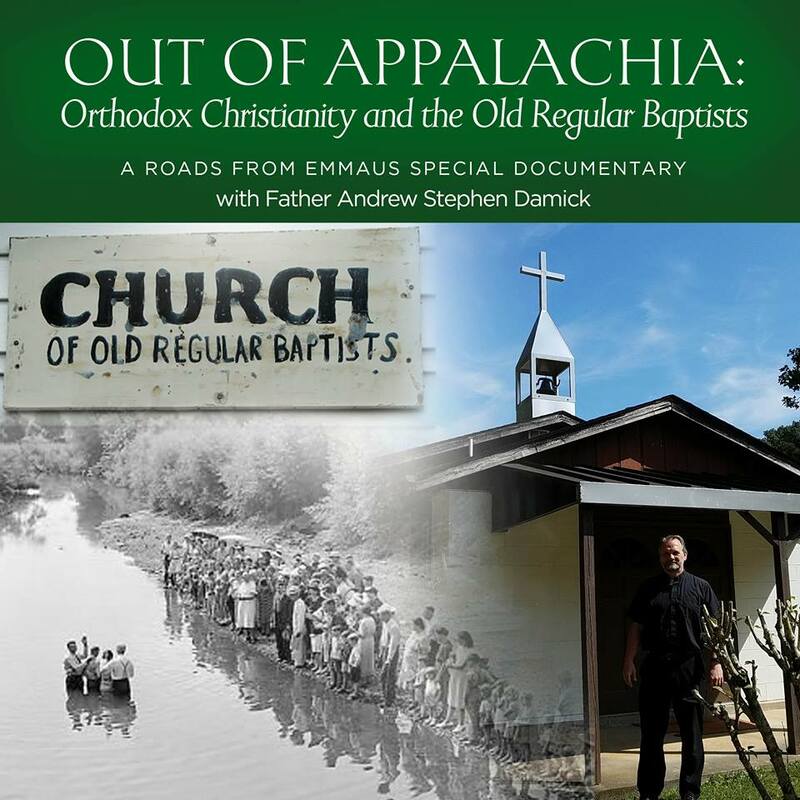 Why celebrate baptism at Pascha? In baptism we are baptized into the death of Jesus and raised up with Him into newness of life, as St. Paul says in Romans 6:3-4. So as we mystically renew our experience of Christ’s death and resurrection that is Holy Week, it only makes sense that those who are being initiated into this newness of life should receive that initiation during this time. Great Lent was designed initially to prepare catechumens for baptism, and so it was at Pascha that these baptisms would happen and the journey of the catechumens into the Church would be complete, beginning their new journey as those who have “put on Christ” in baptism, to use the language of St. Paul in Galatians 3:27. So one of the ways to understand these Sundays that follow Pascha is as an extended meditation on and celebration of baptism. And it is in this context that I would like us to look at the Gospel of the meeting of Jesus Christ with the Samaritan Woman. Jesus meets with her at a well, and not just any well but Jacob’s Well. Jacob, as you may remember, was the grandson of Abraham, whom all Jews looked to as the father of their nation. Jacob is the one in whom the founding of that nation becomes complete, illustrated by God changing his name from Jacob to Israel in Genesis 32:28. This new name that Jacob received referred to his prevailing with God in the wrestling match he had with Him before this happened. This man now called “Israel” had prevailed with God and gotten a blessing from Him. So this well was a symbol not only of the founding of the nation of the children of Abraham, which would also be called “Israel,” but also a symbol of blessing from God, a blessing gotten by an earnest engagement with the Lord. 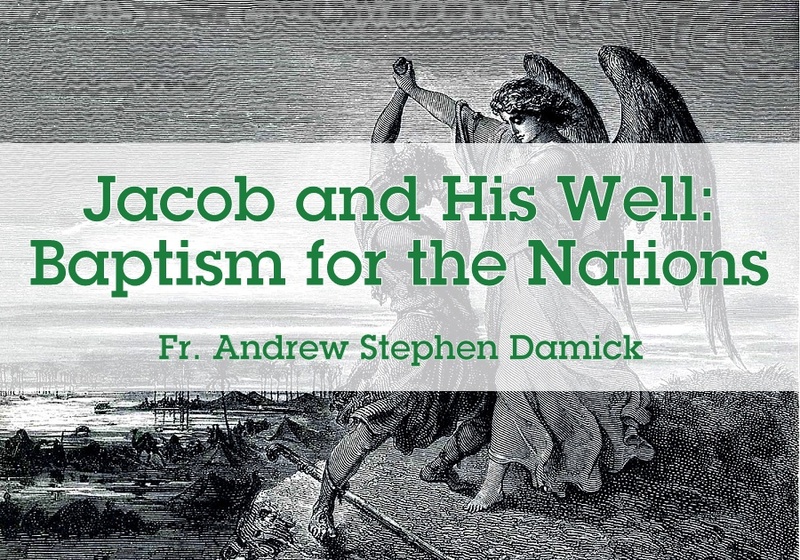 Thus Jacob represented a different kind of person, a person who was able to connect directly with God and be changed by that encounter with the Lord. He is wounded by God in the wrestling match, but he also becomes the one through whom the nation would be built and even through whom Jesus Christ Himself would someday descend. So with all this in mind, think of what it means that here Jesus offers “living water” to this woman. The phrase living water was probably understood by her to mean “running water,” that is, like a river. So she is confused when He is at a well and offering her running water. But He is speaking of the water “living” in another sense, in an eternal sense. When Jacob named the place where he wrestled with God, he called it “Peniel,” saying, “For I have seen God face to face, and my life is preserved” (Gen. 32:30). Jacob’s name for the place refers to having his life saved. And Jesus says to the Samaritan Woman, “Everyone who drinks of this water will thirst again, but whoever drinks of the water that I shall give him will never thirst forever; the water that I shall give him will become in him a spring of water welling up to eternal life.” In this therefore we see how an earnest and faithful encounter with God means that one receives life rather than death. There is also something else going on here. The woman is a Samaritan, one of a group who sees Abraham as their father yet are rejected by the Jews. They do not see Samaritans as being part of the nation of Israel, as being true children of Jacob. Yet here she is at Jacob’s Well. What does this mean? She is for us a symbol of the Gentiles who come to the waters of baptism and become the true children of Abraham, Isaac and Jacob. She is from outside, yet here at this well she receives the One Who gives living water, which becomes in her “a spring of water welling up to eternal life.” In her and in all who receive baptism into Christ the promise of God to Jacob, to Israel, is fulfilled. And in Church tradition, we learn later that the Samaritan Woman takes on a new name from this point. She is called “Photini,” which means “enlightened” or “illumined.” She has received light. And this also is exactly what we call those who have been baptized—they are the “newly-illumined.” To receive baptism is to be given the Light of the world, Jesus Christ. But it is also to become the light of the world, as Jesus tells us that we are in Matthew 5:14. That is why it makes complete sense, then, that the next thing she does after meeting Jesus is to go back to her town and to tell everyone there what she experienced: “He said to me all that I ever did.” He shed light on her life, brought everything out of the darkness, and made her truly to be Photini, truly newly-illumined. So how are we to relate ourselves to this beautiful message contained in the Gospel? First, we understand ourselves through the miracle of the living water of baptism. We are baptized into Christ, meaning that we have put on Christ, that we are putting on His death and also His resurrection. We participate in the power of those events by being baptized, and we thus renew our baptism whenever we come to Holy Week and Pascha. The time we are now in is a time of celebration of baptism not only for the recently-baptized but for all who have been baptized. It is through baptism that Jesus’ own death and resurrection become our own death and resurrection, that we participate in His conquest of death and are raised to newness of life. We also see that our baptism makes us heirs of Jacob, the true Israel, the true children of Abraham. This brings us into the covenant nation of the Church, the place where we can see God face to face and yet have our lives preserved. It is the place where, like Jacob, we can wrestle with God, entering with Him into the earnest depths of our struggles, wounded by His love. And we come forth from that wrestling having been changed and blessed by God. And we also are like the Samaritan Woman, who comes from the outside to Jesus, Who is the greatest Son of Jacob. She receives from Him the power to become a child of God (John 1:12). It does not matter that she is not of the purebred line of Abraham, Isaac and Jacob, according to the flesh. She is now a child of Abraham, a child of God, because she received Christ, because she was enlightened by Him. And finally, we also become like her who was called “Photini.” We become enlightened, the illumined. Through our receiving Christ and engagement with Christ, we can see the light of God. We can understand His mysterious truth. We can understand more clearly what really matters most. We can see the world as it truly is—more and more. And like her, we also become the light of the world, shining the Light of Christ to illumine all whom we meet. She went from outcast to enlightened to enlightener, all because she received the living water of the Savior Jesus Christ there at Jacob’s well. In our baptism and in our working out of our baptism, may we follow her example.